'He held her and watched her die in his arms': London attack victim from Castlegar, B.C. Christine Archibald — a young woman originally from Castlegar, B.C., who had worked at a homeless shelter in Calgary before moving to Europe — was among the seven people killed in Saturday night's attack in London. The Canadian woman killed during the attack in London was struck on London Bridge and died in her fiancé's arms, her fiancé's siblings say. Christine Archibald, originally from Castlegar, B.C., was among the seven people killed Saturday night when attackers drove a van at high speed into pedestrians on the bridge before stabbing revellers in the nearby Borough Market area. U.K. Prime Minister Theresa May described it as a "brutal terrorist attack." 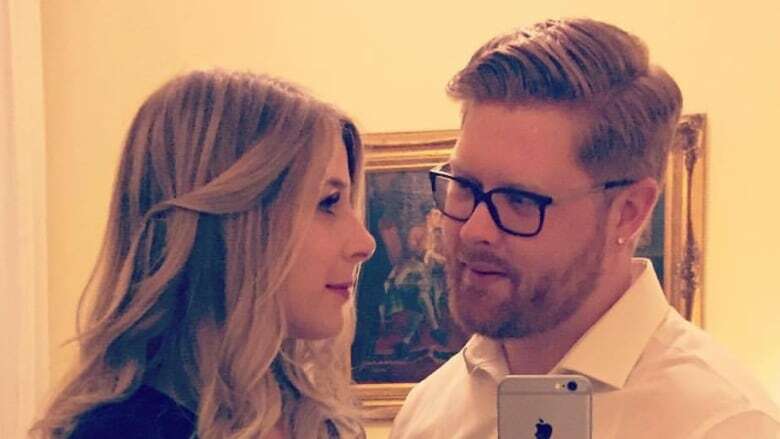 The 30-year-old Archibald was in London for the weekend with her fiancé, Tyler Ferguson, who was from Calgary. His sister, Cassie Ferguson, said her brother was with Archibald on the bridge during the attack. "He is broken into a million pieces," Ferguson's sister told CBC News in a Facebook Messenger conversation. "He held her and watched her die in his arms." According to a statement from the Archibald family, the young woman had a huge heart. She studied social work in Calgary and had been working at Alpha House, a homeless shelter in Calgary, before her move to Europe. "She had room in her heart for everyone and believed strongly that every person was to be valued and respected," the statement said. "She would have had no understanding of the callous cruelty that caused her death. Please honour her by making your community a better place. "Volunteer your time and labour or donate to a homeless shelter. Tell them Chrissy sent you." Alpha House said its employees were "devastated" to learn of Archibald's death. "Chrissy was a bright light to many, and her generosity, kind spirit and huge heart for her work in responding to issues of addictions and homelessness at the centre inspired us all," the shelter said in a statement. "We grieve the loss of our dear friend and colleague, and will remember her as a talented social worker, workmate and exceptional human being. It was our privilege to have known her. Our thoughts are with her family and friends as they struggle with their tremendous loss. Chrissy is in our hearts and will remain there." Ferguson's brother, Mark, said the two had been living in The Hague, Netherlands, where Ferguson had been working for about eight months as an accountant. The couple was planning to return to B.C. when Ferguson finished his overseas contract, and were planning to live in the Castlegar area in order to be close to Archibald's family. "They were very madly in love and had quite the plans for the future," Mark Ferguson said. "[It's] obviously very, very devastating for him. The love of his life has just been ripped away from him." Mark Ferguson said his brother had been in London for about a week on business, and Archibald joined him there for the weekend. "She had never been there before so they decided to take a walking tour of London in the nighttime," he said. "My brother is a traveller; he's been all over the world and knows London pretty well. He was showing her some sights and walking around and just enjoying the nice night." The couple got engaged just a few months ago, with Ferguson proposing soon after Archibald had joined him in the Netherlands. Ferguson was walking just ahead of Archibald on London Bridge when the attack happened. "He heard tires screeching and he looked back, and he just saw the mayhem going on and the van hitting people," Mark Ferguson said. "He tried CPR on her.... First responders showed up right away and they tried to do everything they could for her. She passed in his arms." Ferguson remains in London and his brother says family members are travelling to be with him. "He can't sleep, he can't eat, he can't think, he can't do anything, really. He's just trying to hold on until my mom gets there." Archibald was awarded a diploma in social work from Calgary's Mount Royal University in 2015. In a statement, the school's president, David Docherty, called her a "truly outstanding student." "It is with great sadness that we learned an alumna of Mount Royal University was killed in a horrific act of violence in London this weekend," he said. "Our deepest condolences go to her family and loved ones, as well as to members of our community who are grieving her loss." 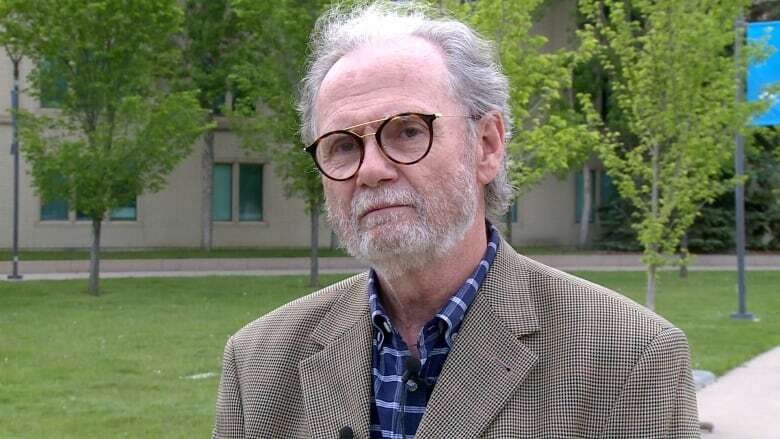 Peter Choate, an associate professor of social work at MRU, said Archibald was somewhat shy when she began her studies, but she soon flourished, working with what he described as a "difficult part of the homeless sector." "Alpha House is one of the agencies in the city that takes … people who are intoxicated. It's a difficult population to work with and she was successful, both as a student and, as I understand now from others who knew her while working ... she continued to be a successful social worker. She found a population she resonated with and enjoyed working with." Choate said he spent part of Sunday re-reading evaluations of Archibald from her time as a student. "They speak about a woman who found her place and reached out to the clients at Alpha House and showed them dignity," he said. "She worked with them whether they were willing to try to get sober at this point or not." Choate said current and former students have been reaching out to each other. "It's kind of what we do in social work, so this time we are practising our skills on ourselves," he said.